Leonard Holton is the pen name for Leonard Wibberley, author of The Mouse That Roared. 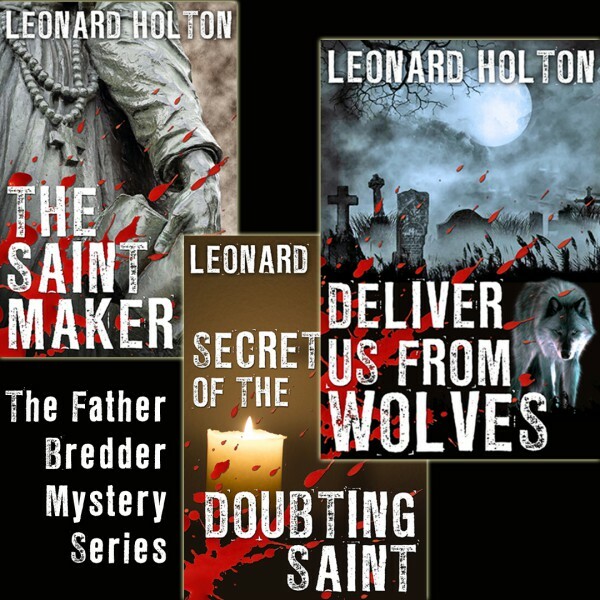 As Leonard Holton, Wibberley wrote the "Father Joseph Bredder" mystery series which were named A Red Badge Novel of Suspense alongside Agatha Christie, Michael Innes, and Hugh Pentecost. Father Joseph Bredder was a decorated sergeant in the U.S. Marine Corps. before becoming a Franciscan priest and amateur detective who both solves crimes and saves souls. Sign up for our monthly newsletter at http://bit.ly/LeonardNews to receive columns written by Leonard Wibberley that were syndicated by newspapers nationally over his lifetime. You will also receive news of the upcoming releases of the ebook editions of his many novels.